Yesterday was a gorgeous day; the temperature here in Murray Valley reached 40F. 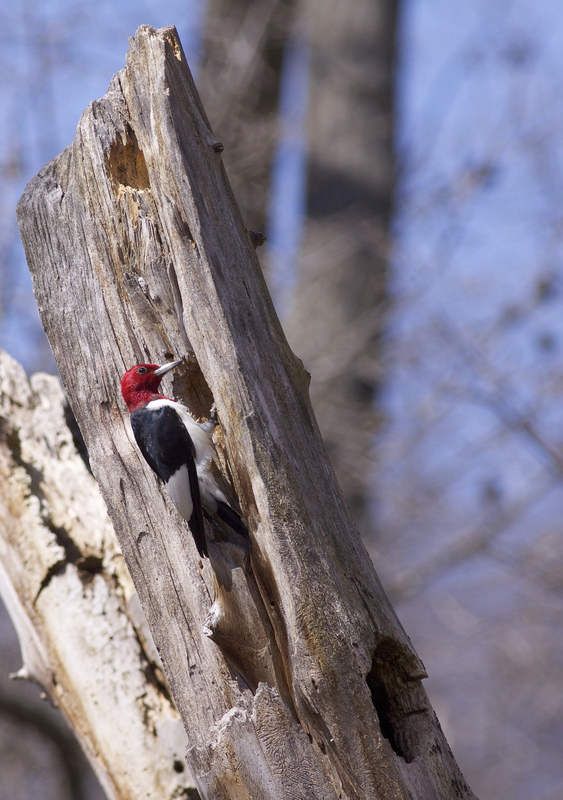 I spotted a pair of Red headed woodpeckers in the Little Buffalo River bottoms near their forage area. 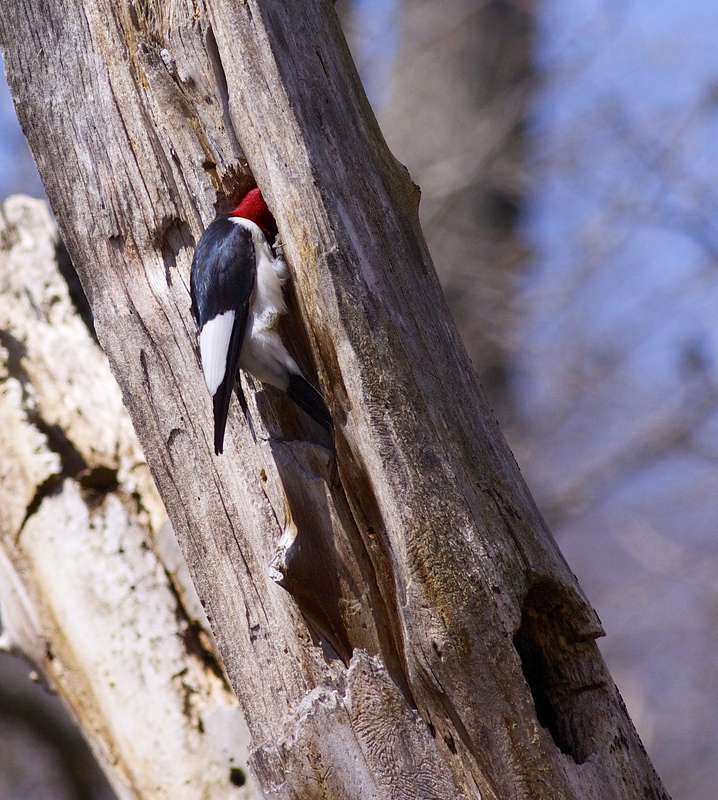 They are nesting high in some dead trees not far from the river. The pair spent the day removing old material, possibly forage, from the hole they selected; maybe making 30 trips around the tree in the hour I watched. They ate lots of wasps also. Guess they are plentiful on these sunny warner days. They are magnificent birds !! !